ONE OF ONLY TWO IN THE UNITED STATES. OVER $140K INVESTED. ONE OF A KING CUSTOM URBAN AUTOMOTIVE EDITION LAND ROVER RANGE ROVER HSE TDI. RARE ULONG WHITE OVER BLACK AND CIRRUS INTERIOR. LOADED! HSE, MERIDIAN, VISION ASSIST PKG, REAR TRAFFIC WARNING, BLIND SPOT WARNING, PANORAMA GLASS ROOF, HEATED AND VENTILATED SEATS, HEATED STEERING WHEEL, AND MORE. 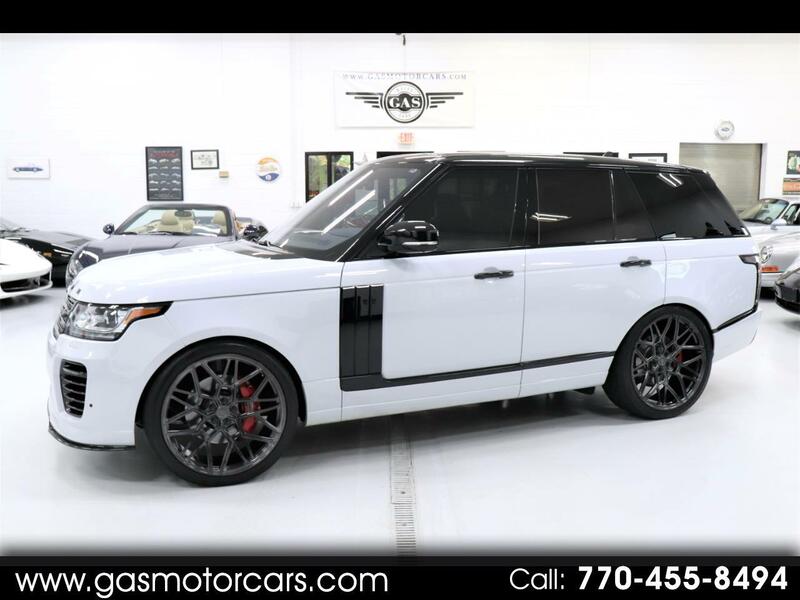 $36K CARBON FIBER URBAN AUTOMOTIVE BODY KIT, $13K URBAN AUTOMOTIVE VOSSEN WHEELS, RANGE ROVER SUPERCHARGED BREMBO BRAKES WITH RED CALIPERS, CQUARTZ CERAMIC COATING, AND MUCH MUCH MORE. MAJOR SERVICE JUST DONE. COMES WITH BOTH KEYS. NO ACCIDENTS, CLEAN CARFAX, NO PAINTWORK, GARAGE KEPT, SHOW CAR CONDITION INSIDE AND OUT. GAS MOTORCARS INC IS A FAMILY OWNED AND OPERATED DEALERSHIP LOCATED IN MARIETTA, GA. WE SHOW VEHICLES BY APPOINTMENT ONLY.